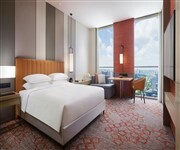 Want to find a new hotel in Shanghai for your next visit to the city? See our list of all the best, quality accommodations, that have opened recently over the last few years. 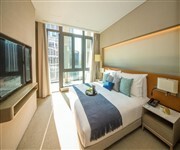 A new Shanghai hotel by Marriott opened in April 2019, this trendy accommodation is located in Zhangjiang Tech Park, 5 minutes walk from the ZhongKe Road Metro Station. A recently opened new 4 Star hotel near Shanghai Hongqiao Airport in the Minhang District of Shanghai, located next to the MixC shopping mall. 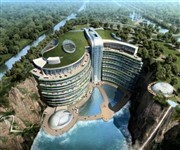 A new "underground hotel" in Shanghai built into the side of an old quarry, located in the Sheshan Mountain Range, offering 337 luxury guest rooms and suites (opened in December 2018). A recently opened new apartment hotel in the Hongqiao business district, offering residences from Studios to Two Bedroom Apartments with kitchenette. 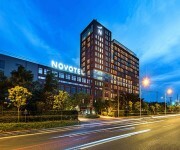 A new luxury hotel in Shanghai opened in October 2018, located on the Hongxin Road close to the Ziteng Road Metro Station. A recently opened new luxury hotel in the Jiading District of Shanghai offering 304 guest accommodations located between floors 27 and 40. 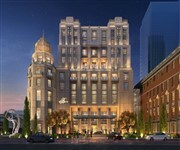 A new hotel on the Bund, Shanghai, opened in August 2018, this luxury 5 Star property occupies the former Shanghai Power Company building (as well as a new skyscraper). 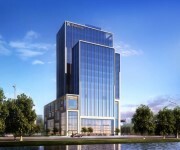 A new top luxury hotel located on the banks of the Suzhou River occupying the top 8 floors of a 48 story tower, opened in June 2018. 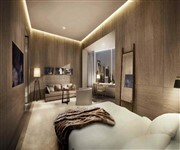 A new luxury hotel located just off Nanjing Road (West), opened in mid 2018 offering a range of spacious Studios (from 50 sqm) and Suites, as well as serviced apartments / residences. 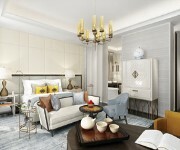 A new luxury lifestyle hotel in Shanghai opened in April 2018 in the heart of the city centre business and entertainment area. 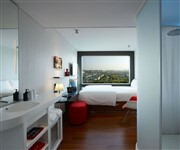 The property offers guest spacious and luxurious Rooms, Studios and Suites, starting with the 44 sqm Executive Rooms. Facilities at the hotel include five on-site dining venues and bars, a luxury Spa, a heated indoor swimming pool, sauna / steam rooms, fitness studio, Yoga suites, function rooms and a Ballroom. 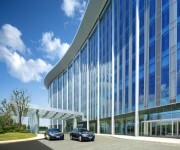 A new luxurious hotel located on the banks of the Suzhou River at the northern end of the Bund opened in 2018. The property offers 162 guestrooms and a range of luxurious suites (which come with a with private butler). The property features four food and beverage venues, a grand ballroom, heated swimming pool, gym and spa. 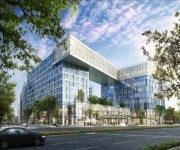 This new luxury hotel in Shanghai opened in early 2018 and is located next to the 100AM Shanghai mall and office complex. The property features 343 guest accommodations, an on-site restaurant, lobby bar, outdoor pool and a gym. 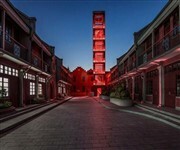 A new heritage hotel in the Xuhui District located in the old shophouses of the French Concession neighborhood, comprising of 1,2 and 3 bedroom Shikumen Villas in this historic part of the city. A new trendy 5 star hotel overlooking the Bund and Huangpu River, opened at the end of June 2017. This luxury Shanghai Starwood hotel offers a total of 374 guest accommodations, outdoor pool, spa, gym and five on-site dining venues / bars. This brand new 5 Star hotel in Shanghai opened in May 2017 and offers a total of 491 guest rooms and suites, located between the 36th and 68th floors of the building. The hotel features five on-site dining options, an indoor swimming pool and the Iridium Spa and Athletic Club. One of the newest 4 star hotels in Shanghai opened in December 2016. This new luxury hotel opened its doors in September 2016 and offers a total of 536 guest rooms. The property is located in the National Exhibition and Convention Centre (NECC) in the Hongqiao Central Business District. This new 5 star hotel on the Bund in Shanghai opened in mid 2016 and offers luxurious accommodation with great views along the Huangpu River and over to Pudong. A new luxury hotel in the Wujiaochang sub-district opened in mid 2016 with a total of 306 guest rooms and suites. This deluxe accommodation is a new hotel close to the Shanghai Disney Resort (5 minutes drive) opened in June 2016. 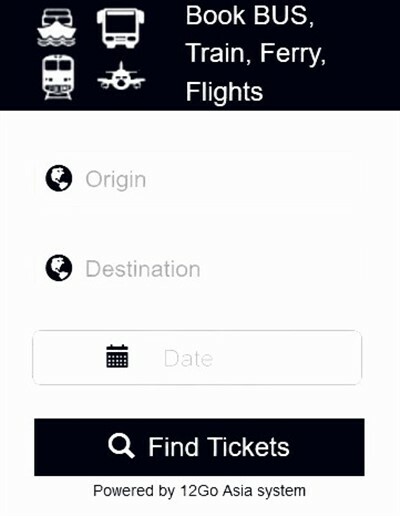 Please visit this page again where we will be adding all the best new hotel openings for the coming year.